Based upon an analysis of multiple circumstances within and outside the nation, PRG has concluded that America is now facing an unprecedented crisis which has opened a window to disclosure wider than at any previous time. • March 2007 - The French national space agency, CNES, placed 1600 previously classified UFO sighting reports into the public domain on the Internet. • November 2006 - A significant sighting took place at O'Hare Airport in Chicago and received worldwide attention and media coverage. • September 2005 - Former Apollo astronaut, Dr. Brian O'Leary, wrote in a foreword to Hidden Truth, Forbidden Knowledge, "These revelations underscore a long, sordid history of governmental and media secrecy and the acquisition of technologies such as microelectronics, anti-gravity propulsion and zero-point, or "free" energy, from our visitors. This massive cover-up has been going on for almost six decades since the UFO crash near Roswell, New Mexico in July 1947, an event which was certainly not caused by balloons, as alleged by the U.S. Air force. Such myths are only accepted by the ignorant or the powerful and their subjects." • September 2005 - Paul Hellyer, Canada’s Defence Minister from 1963-67 under Nobel Peace Prize Laureate Prime Minister Lester Pearson and deputy prime minister under Pierre Trudeau, publicly stated, "UFOs, are as real as the airplanes that fly over your head." • July 2004 - Governor of New Mexico and current presidential candidate, Bill Richardson, wrote in the foreword to The Roswell Dig Diaries, "It would help everyone if the U.S. government disclosed everything it knows. With full disclosure and our best scientific investigation, we should be able to find out what happened on that fateful day in July of 1947. The American people can handle the truth no matter how bizarre or mundane, and contrary to what you see in the movies." • July 2004 - Producer, director, writer and actor Dan Aykroyd became the first A-list celebrity to allow his or her name and image to be used to support extraterrestrial-related phenomena research. He endorsed and agreed to be a spokesperson for the Mutual UFO Network (MUFON). • May 2004 - The Department of Defense of Mexico, with the approval of Mexican Secretary of Defense, General Clemente Vega Garcia (and almost certainly Mexican President Vicente Fox), held an international press conference at the Hotel Sevilla Palace in Mexico City. The Department of Defense released air surveillance evidence of an unusual sighting to a civilian research team and confirmed a joint investigative effort. 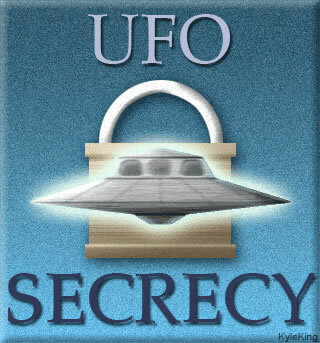 • 2004-2007 - The United Kingdom conducted a series of releases of documents pertaining to classified UFO sighting reports and UK government studies. The U.S. Congress, news media and the American people must prepare for the possibility that an event of sufficient magnitude to trigger formal Disclosure could take place at any time. Such an event could come from any number of directions and take place in any of a dozen countries. The 60-year truth embargo is collapsing.